The Titans look to get back on track Sunday as they take on the Texans at home in a big AFC South showdown. The Titans are 3-2 after losing to Pittsburgh entering the bye week. After a week off, the team should be ready to get back to winning, and against a Texans team that is very banged up, they seem to have the edge in a lot of areas. 1. 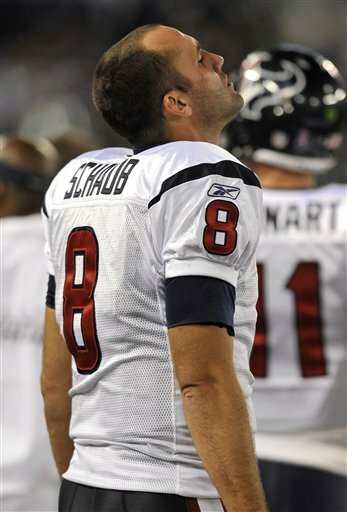 Pressure Schaub – In three road games this season, Texans QB Matt Schaub has completed 64-of-105 passes for 823 yards, six touchdowns and a 100.6 quarterback rating. The Titans can’t just assume without Andre Johnson the Texans passing game is going to go away and hide and just give the ball to Arian Foster. If the Titans can get back to getting pressure on the QB as the did the first few games in 2011, it will make a win that much more easier. 2. Back to Big Plays – Two games ago in Cleveland, the Titans were able to pull some big plays off against the Browns, including a 97-yard pick six. Then against the Steelers, those big plays were gone. 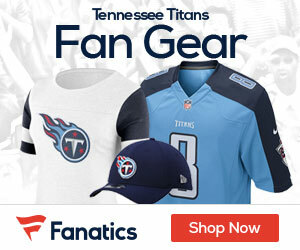 Big plays are a big reason the Titans were 3-1, and looking like an AFC contender. Matt Hasselbeck is without his big play WR in Kenny Britt for the rest of 2011, but there’s other playmakers like Nate Washington and of course, Chris Johnson. Those guys have to make plays. 3. Keep Hasselbeck clean – Houston’s defense is tied with the New York Jets with an AFC-best 17 sacks. End Tim Jamison had a career-high two sacks last week. The Titans have to keep Matt Hasselbeck upright and now allow the Texans to get in and make it a long day for him. Pressure also can create mistakes, which is another reason to keep Hasselbeck on his feet instead of on the ground with the Texans celebrating multiple sacks.